Valve:Reliable Ceramic Cartridge The ceramic disc cartridge can survive 500,000 times open & close test. Sophisticated ceramic engineering provides both convenience and control precision. Please contact us if you have any problems and suggestions. Usually, you will get reply in 24 hours. This faucet was specially designed to fit the sink with hole diameter of 1.3 inch-1.77 inch or you might need to drill hole if needed. 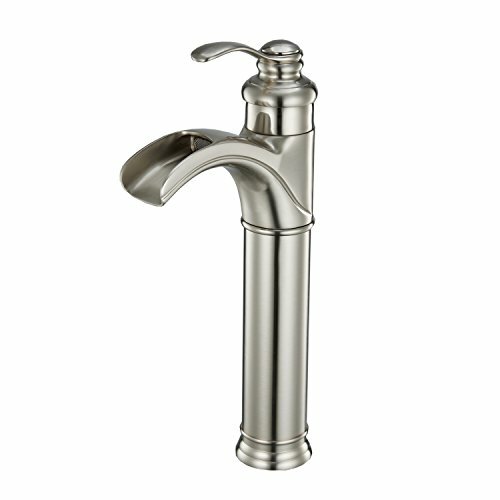 View More In Bathroom Sink Faucets. If you have any questions about this product by BWE, contact us by completing and submitting the form below. If you are looking for a specif part number, please include it with your message.